SAW at Sea! Can You Survive the SAW Boat Cruise? 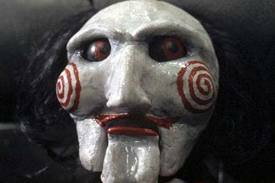 The horror of the SAW movies is taking to the waves during the “Official SAW Movie Cruise,” to be held August 11-16, 2012, aboard the cruise ship Carnival Glory. SAW cruisers will travel round-trip from New York to Canada’s Maritime Provinces. Fans of the SAW movies will find plenty to love on the Official SAW Cruise. Dan Yeager, who stars as “Leatherface” in the new movie Texas Chainsaw Massacre 3D, will also be on the cruise  and everyone on the SAW cruise will get a free Dan Yeager autographed photo. This is Dan Yeager’s first official fan appearance, and he will be signing autographs and taking photos with fans during the entire cruise.